Make your tire cover 100% your own. 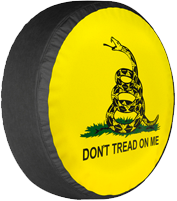 Boomerang manufactures the highest quality and most variety of tire covers on the planet. 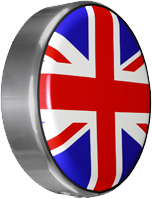 We can also personalize your tire cover with your own custom designed graphics. Custom graphics can be added to all of our blank covers, Soft, Rigid and MasterSeries. 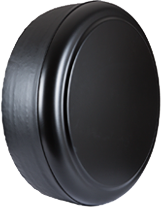 This includes painted to match Rigid and MasterSeries tire covers. All of our graphics are printed directly to the cover during the manufacturing process, not after. We print directly to the tire cover material and do not use decals or heat transfers than can crack and peel off. Our custom covers come with a 5 year warranty. We are the only manufacturer in the world offering high quality tire covers for the new Jeep Wrangler JL with back up camera that features a molded camera hood integrated into the tire cover. 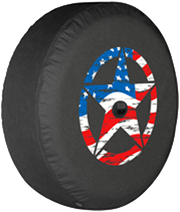 You can design your custom tire cover yourself or have our art department assist with the design.